If you want to know where a market is headed, it’s a smart idea to follow the money. When it comes to healthcare, the amount of investment in telemedicine platforms leaves little room for doubt that video visits and remote patient monitoring solutions are the future. Whether the investment is in technology, like Chiron Health, that enables providers to offer remote visits as an option, or platforms that support an on-line only service model, the number and value of transactions is remarkable. Why are investors so eager to snag a piece of the telemedicine platform pie now? A number of factors make the space particularly attractive. Consumer demand for the option of remote health services has driven state governments, regulators and payers to reexamine the role that telehealth has to play as part of the spectrum of healthcare services in the United States. 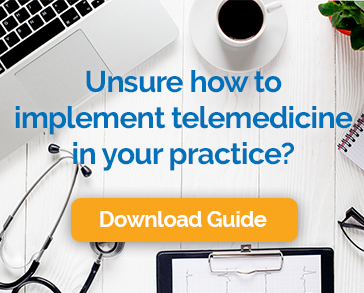 They’ve paid attention to market demands and improved technology options and have started removing the regulatory barriers to this type of care and to physician reimbursement for telehealth. Investors see telemedicine platforms as a market poised for explosive growth. All evidence suggests that they are right on the money.